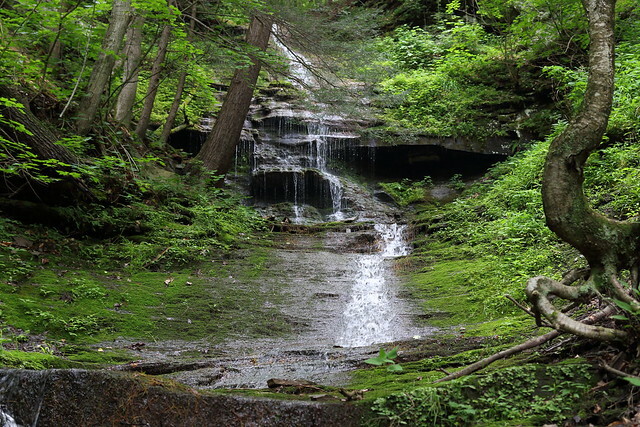 On the west rim of Pine Creek Gorge, also known as the Pennsylvania Grand Canyon, the 368-acre Colton Point State Park resonates with the rustic charm of the Civilian Conservation Corps era of the 1930s. The rugged overlooks offer great views of the canyon. Leonard Harrison State Park is visible on the other side of the canyon. Contact the Lyman Run State Park office for facility seasons and hours. From US 6 near Ansonia, follow Colton Road south for five miles.